Women don’t have to fall into a stereotype. The Cows is a powerful novel about three women. In all the noise of modern life, each needs to find their own voice. It’s about friendship and being female. It’s bold and brilliant. It’s searingly perceptive. It's about never following the herd. And everyone is going to be talking about it. If I'm brutally honest I rarely pay attention to the back cover blurb on books, other than a quick cursory glance. The Cows back cover blurb is perfect, and true. It is bold, it is brilliant, and I'm pretty sure that everyone is going to be talking about it. Tara is a single Mother with a great job, but her Male bosses don't give her the recognition she deserves. After meeting a man on a night out, (but not the one she was supposed to be on a date with) Tara feels like she is worth something again, and gives into a moment of madness that will have disastrous consequences. Cam is a brilliant blogger, but she doesn't want kids, and her Mother despairs of her. Her online audience is torn after a radio interview where her views are made crystal clear. Suddenly her popularity soars, but the online trolls are quick to attack where others are quick to praise and admire. Stella is still grieving the loss of her twin sister, but struggling to find her own identity, ever fearful of the cancer that seems to come after the females in her family. She is desperate to have a baby, but her boyfriend seems to be distancing himself from her just when she needs him most. These three women's lives are about to become intertwined, even though they seemingly have nothing in common. 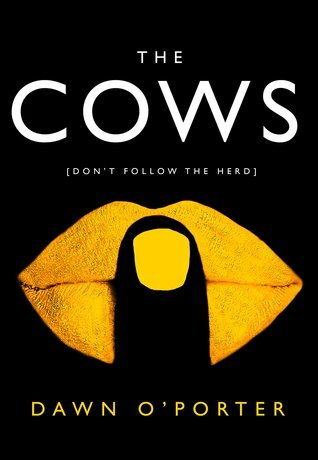 The Cows is an important novel, that showcases the society we live in, how we can all be oh so quick to judge others, yet expect people to have our backs when the world has turned against us. The Cows is available now via Amazon online and all good book shops.